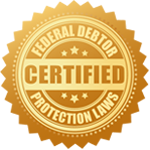 With over 25 years of experience in the credit and debit industry, The Dispute Center is the premier personal credit repair, business credit building, and business funding outsourcing service. We provide essential services that will help you build your credit repair business to the highest level of success possible by tackling the time-consuming customer care side of your business. Through every step of the process, our first and foremost goal is to ensure your clients’ needs are met. Client satisfaction and retention are the keys to success for your business. Not only does it reaffirm your status as an expert in credit repair, but it also instills confidence in your clients that they should continue to use your service and forever refer future clients your way. Our superior client service produces happier clients and better client retention. Happy clients lead to repeat business and referrals, both of which are essential to the growth of your credit repair business. Our personal credit repair and business funding and credit building systems are designed to help your credit repair business be more efficient, cut labor costs, and increase your profits. Outsourcing your customer service needs alleviates the need for large capital outlays towards staff, equipment, and office space – not to mention the time you save by letting us do the heavy work. The Dispute Center’s exceptional support services and unparalleled commitment to each credit repair client and individual affiliate partner clearly puts our credit repair outsourcing dispute service far ahead of the rest. Call us today at (616) 541-2322 to find out how you can start or expand your business ventures with The Dispute Center’s unparalleled customer support and credit repair business outsourcing programs.